Enterprises enjoy the flexibility and simplified operations of using the cloud, but applying those advantages to database workloads has proven challenging. Resource contention, cross-region failover and elasticity at the data tier all introduce limitations. 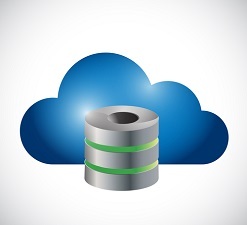 In addition, cloud providers support different services within their database offerings. This Log Buffer is dedicated to the top quality news from the arena of Oracle, SQL Server and MySQL. We had a question on AskTom the other day, asking us to explain what a “latch” was. Jonathan Lewis thinks column groups can be amazingly useful in helping the optimizer to generate good execution plans because of the way they supply better details about cardinality. Today it’s all about developing software that makes access to your product easier. This Log Buffer Edition throws spotlight on some of the salient blog posts from Oracle, SQL Server and MySQL. My good friend, Oracle icon Karen Morton passed away. It seems safe to say that Oracle is currently ahead of Microsoft when it comes to the company with the most contentious relationship with open source. To some extent that is due Oracle’s questionable approach to community, but it must also be noted that Microsoft has managed not to put its foot in it for a while. In Microsoft 2009 published its first companywide perspective on open source, made its first contributions to the Linux kernel, and created the CodePlex Foundation, an independent entity designed to encourage its developers and other companies to contribute more to open source software projects. A number of people have recently raised the issue of the threat that cloud computing poses to the monetization of open source by specialist vendors, including Savio Rodrigues, Matt Asay, and Mike Hogan. Savio Rodrigues has published a post arguing that cloud platforms such as Amazon Web Services and Microsoft’s Azure pose a threat to the monetization of open source by specialist vendors.